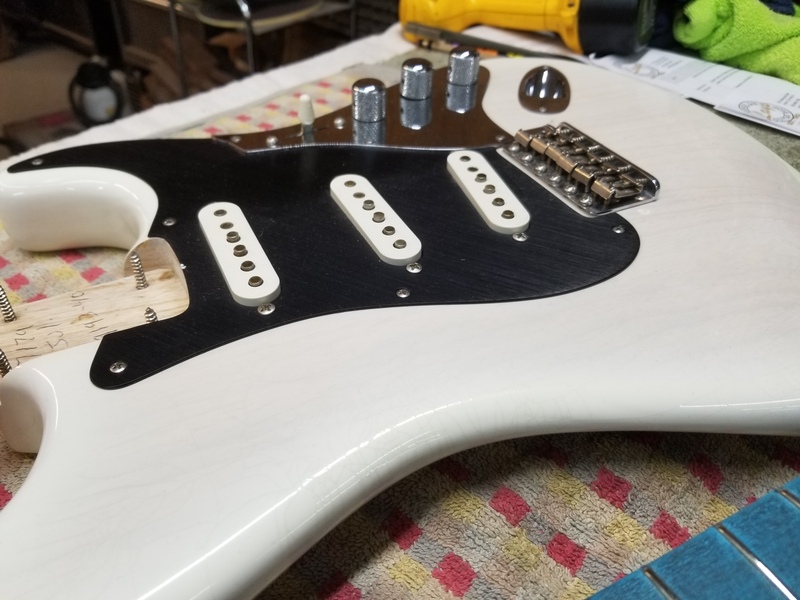 Todd Knisley is currently working on this 2011 Fender Custom Shop – George Fullerton Stratocaster. Todd did a file, crown and polished up the frets and is going to do a set up on it. 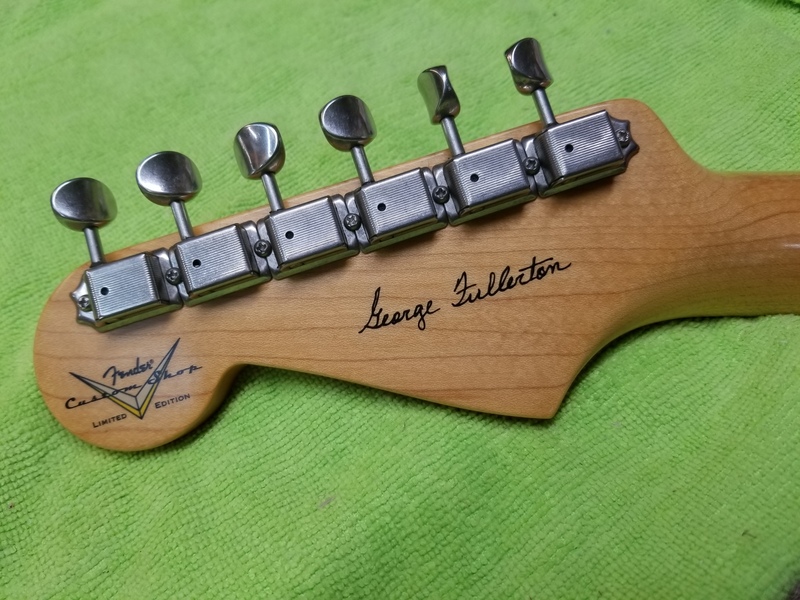 George William Fullerton was a longtime associate of Leo Fender and, along with Fender and Dale Hyatt, a co-founder of G&L Musical Instruments. He is credited with design contributions that led to the manufacture of the first mass-produced solid-body electric guitar. Born in Hindsville, Arkansas, George Fullerton moved to Southern California in 1940. He served in the United States Marine Corps and later worked part-time at Lockheed Aircraft as a machinist while attending night school to further his interest in electronics. Leo Fender invited Fullerton to join his company and Fullerton became a full-time Fender employee on February 28, 1948. He is credited with design innovations that allowed Fender to mass-produce its first solid body electric guitar, known today as the Telecaster, which the company introduced in 1949. 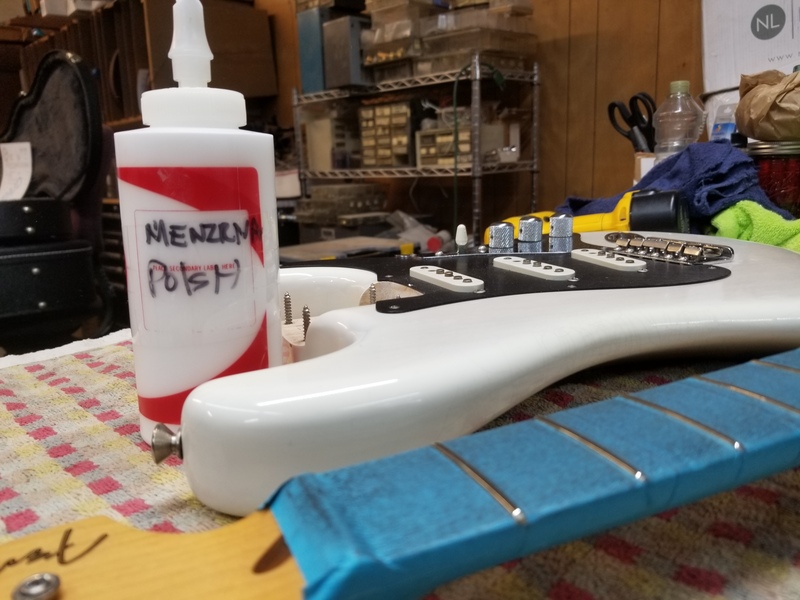 After leaving Fender in 1970, he continued to work with Leo Fender at Music Man and later co-founded G&L Musical Instruments along with Fender and longtime Fender salesman Dale Hyatt. 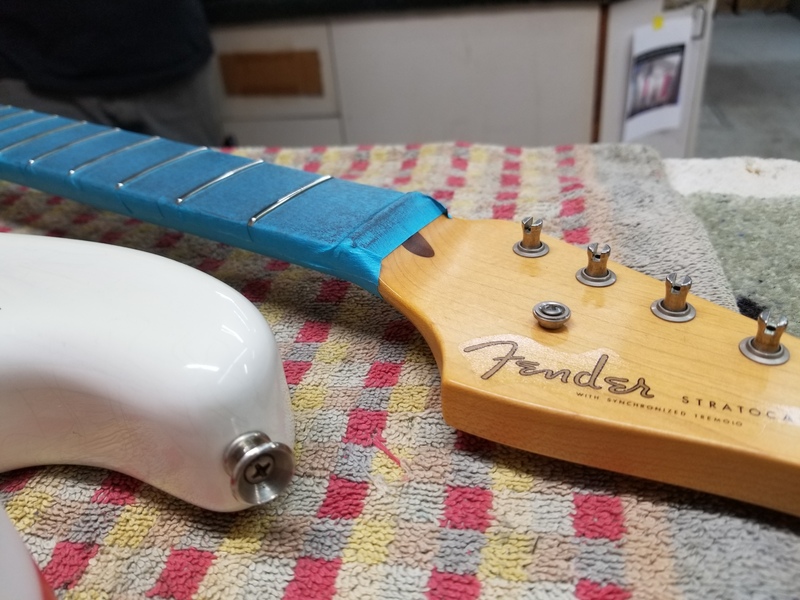 Fullerton returned to Fender as a consultant in the company’s custom shop in 2007. In November 2007, the company unveiled the limited edition George Fullerton 50th anniversary 1957 Stratocaster guitar and Pro Junior amplifier. Fullerton was inducted into the Fender Hall of Fame in 2010.